We are new to this and looking to buy a second hand rig, we Have the truck , it is a very interesting and helpful group. We live in Central Portugal. Welcome to the group. My wife and I did a trip through Portugal from Guarda to the Algarve, mostly off-tarmac, with our demountable in 2012. We loved it! welcome to the group what sort of truck have you bought already & do you have a camper in mind? martinjdover wrote: Welcome to the group. 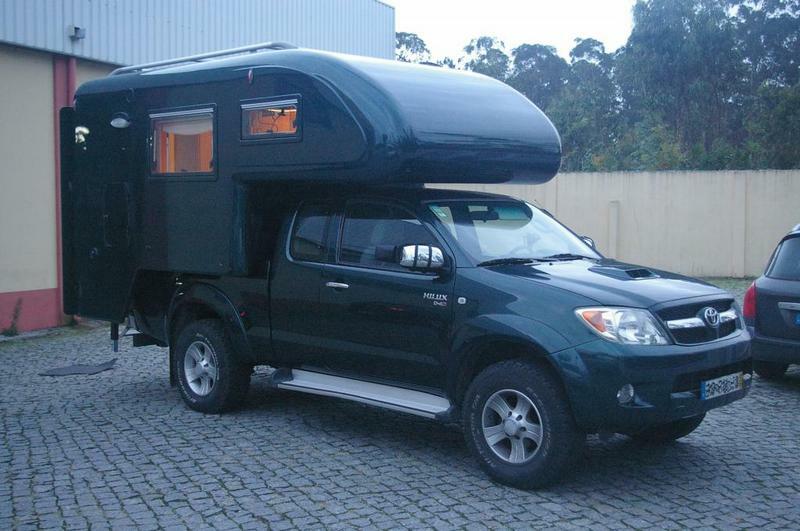 My wife and I did a trip through Portugal from Guarda to the Algarve, mostly off-tarmac, with our demountable in 2012. We loved it! We moved here 8 years ago and love it. We like that you can do a lot of wild camping and we can go anywhere from here. We had a camper van that we build our self but we lost it in the fires here in Portugal just a little time back . My husband needed some thing for work so we got a hilux 2004 2.5 truck it is old but ok for us. When we where in Düsseldorf we liked the Tischer but we saw a Andrade on the camp site and that was just as good but I can not find one for sale any where and they now have closed down I think. It would have to be second hand, we have also thought about refurbishing one. I went in the one on our campsite in Germany and it was lovely very well made but I can not find one any where. Hi there, I’ve got a place quite near you in Portugal, just off the I8 about 8km from Ansiao that I am in the process of renovating to be able to move out there full time. I have a Canadian Bigfoot demountable on an Ford F250 4x4 pickup that I have travelled out there a few times with, at the moment I’ve taken a caravan and left it out there to live in while renovating the property and travel out using my 2011 Isuzu Rodeo Denver pickup as its a lot cheaper on the ferry and also fuel when towing a trailer & generally running around out there. Where about’s is it you live, are you working and living full time out there. Sorry to hear you were affected by the fires my place was ok although they came quite close. Have you found a suitable demountable yet....or still searching?